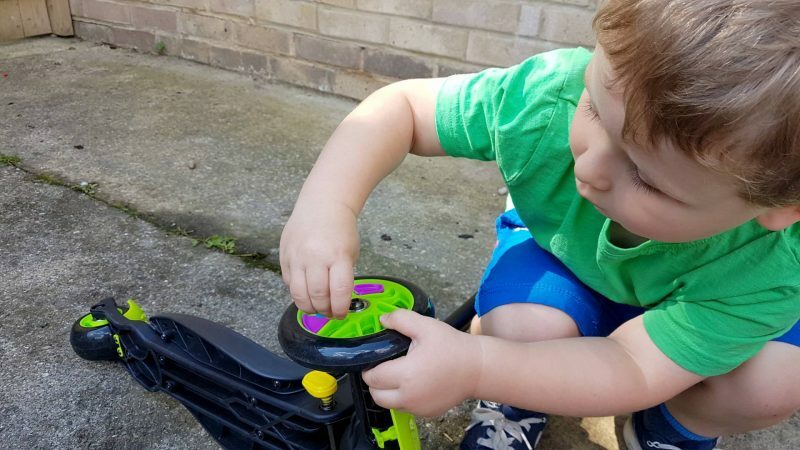 The little man loves to be outdoors and has a range of outdoor toys but until we were sent the Y Glider Refresh Deluxe Scooter, he didn’t have a scooter. 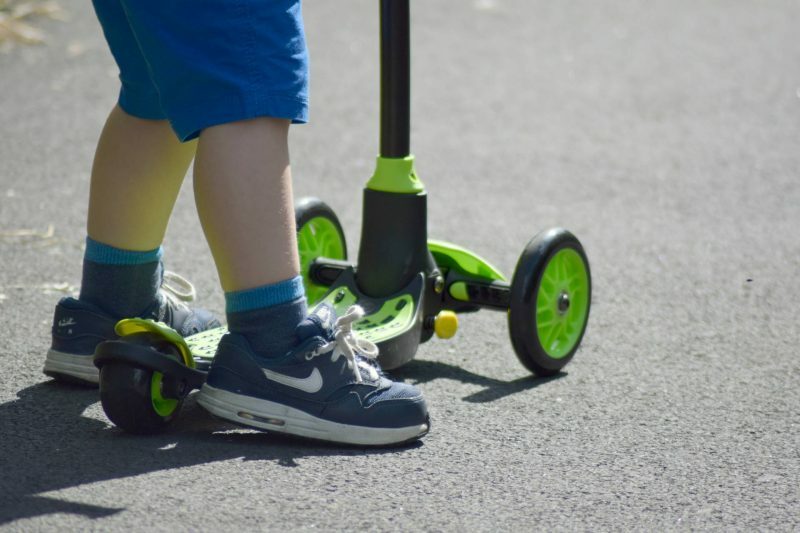 The Yvolution Y Glider Refresh Deluxe scooter is produced by Yvolution who sell a great range of outdoor play equipment such as balance bikes, ride ons and scooters in over 40 countries around the world. 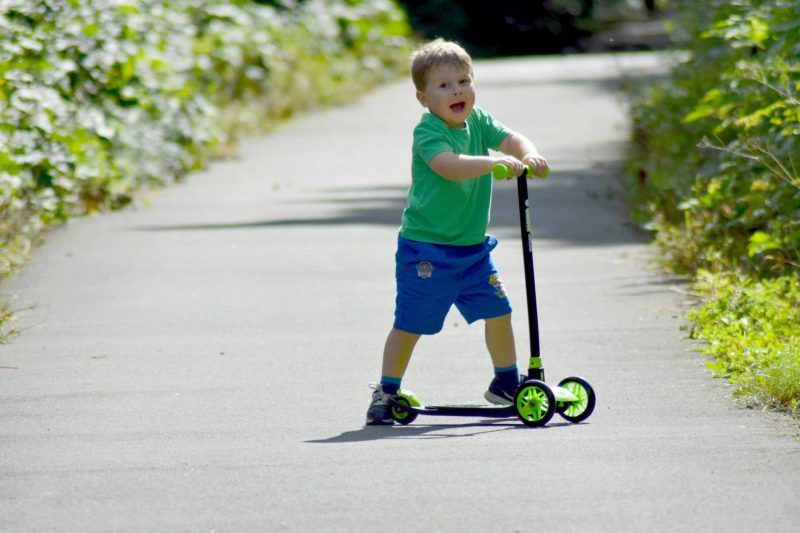 The scooter is suitable for kids three years and upwards and despite being made primarily of plastic, seems strong and sturdy. 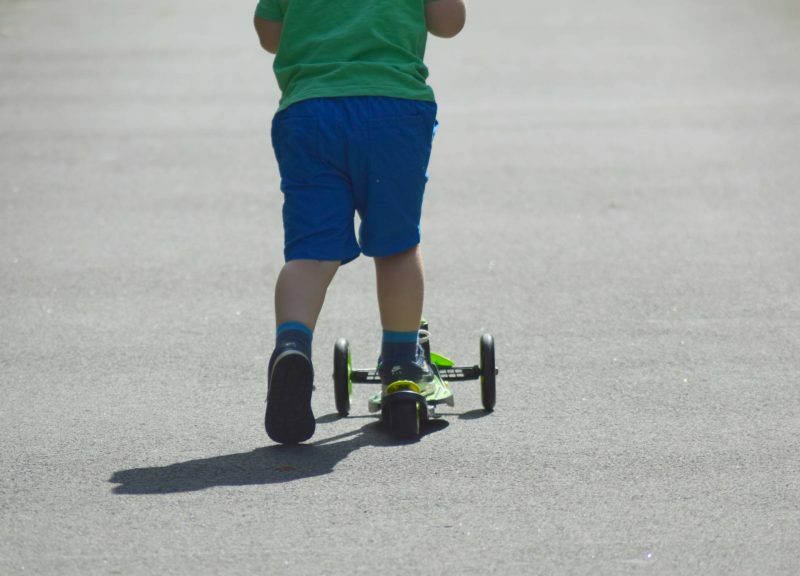 The Y Glider scooter can be used both indoors and out but as we have the floor space of a postage stamp, we’ve only used it outside. The scooter is pretty much ready to go when it’s taken out of the box. 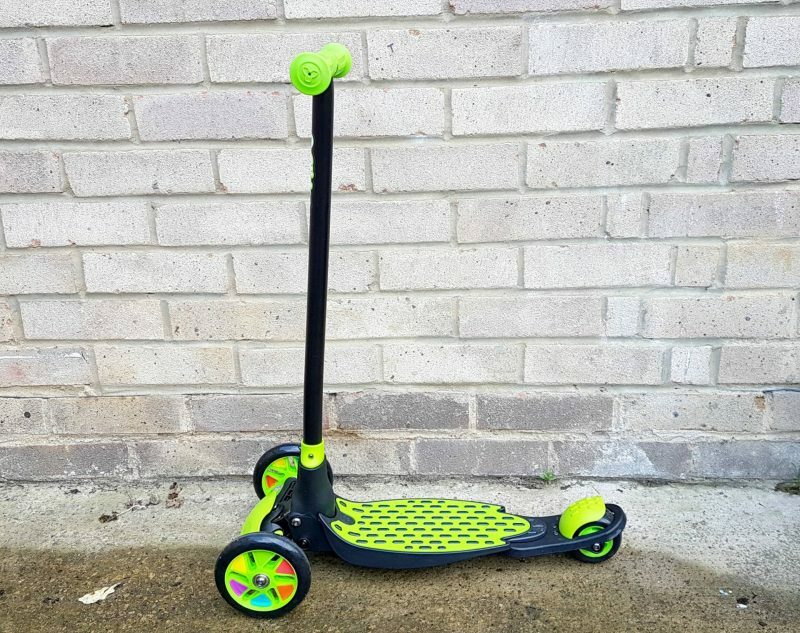 We were sent the green scooter to review but it’s also available in blue and pink. 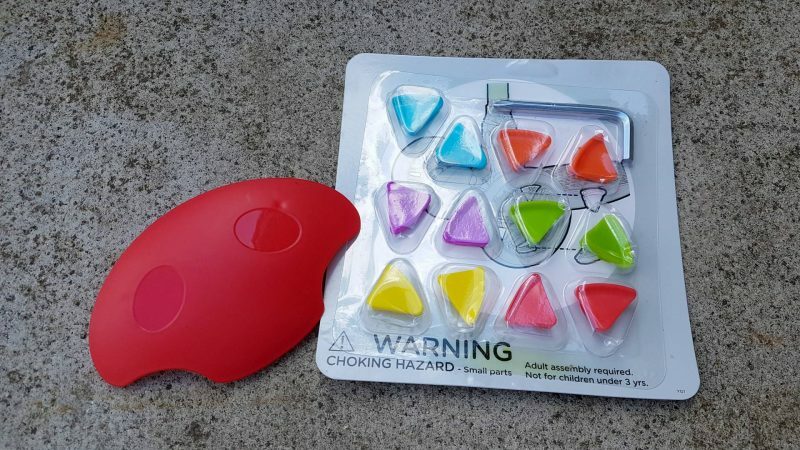 It also included a set of brightly coloured deck inserts and a red wheel cover which the little man really enjoyed adding to his scooter. Yvolution also sell a great range of protective helmets on their website, we’ve been using the little mans bike helmet but I really like the look of the grey and red one. 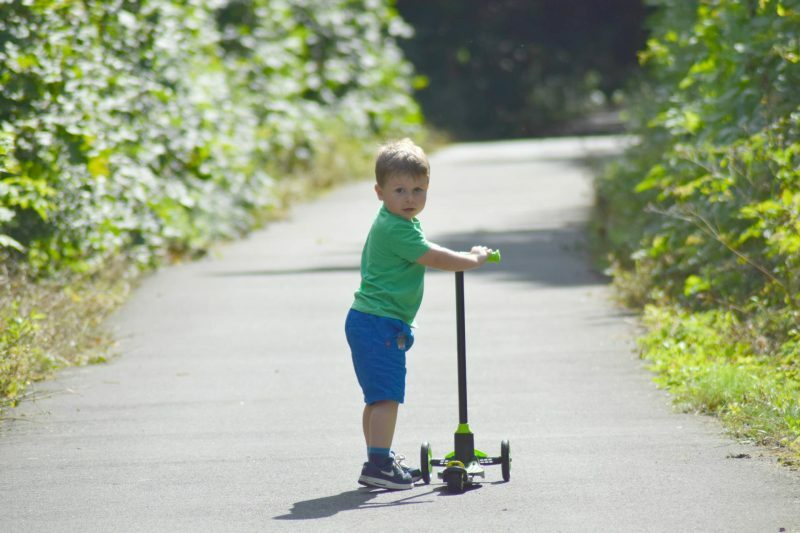 The scooter is perfect to help younger children develop their balance, co-ordination and motor skills and features a unique “lean-to-steer” steering mechanism which can be changed from loose to firm to suit your child’s needs. The scooter has nice wide rear wheels which help newer riders and the easy grip handle bars are great for ensuring stability while scooting along. 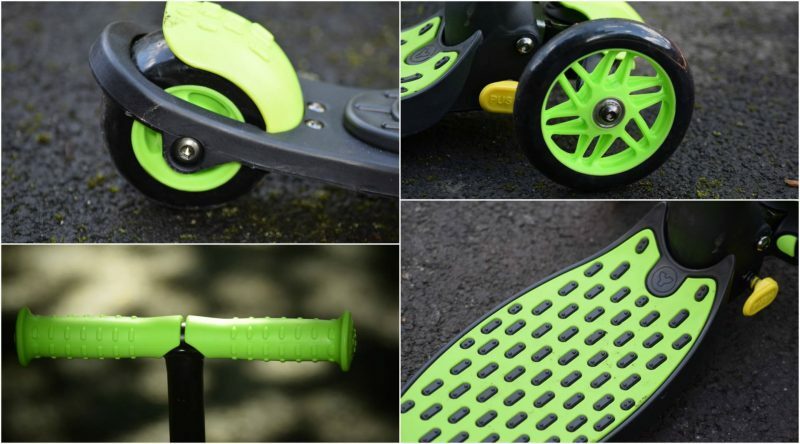 I also really like the none slip foot plate which means it can be used in wet weather without slipping or skidding. The little man really likes the Y Glider and can use it with ease at 3 and a half. 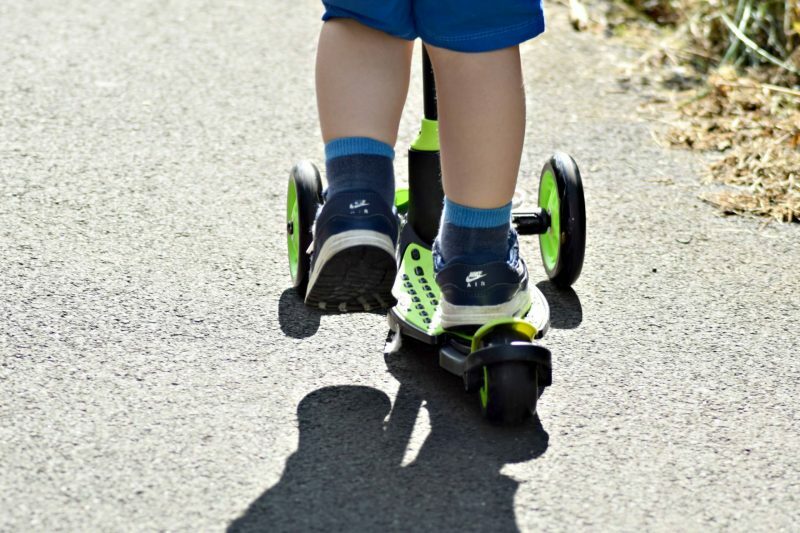 You can purchase the Yvolution Y Glider Refresh Deluxe from Toysrus for £29.99 which I think is a pretty good price for a scooter with enough features to put it a cut above the rest. I think it’d made a great Christmas gift for any child that enjoys being outdoors. * We were sent the scooter in return for an honest review. Recording our Christmas Memories with Stampin Up!